5 free guests by default (you can choose their permission level). Each additional member added will grant two free guest seats. 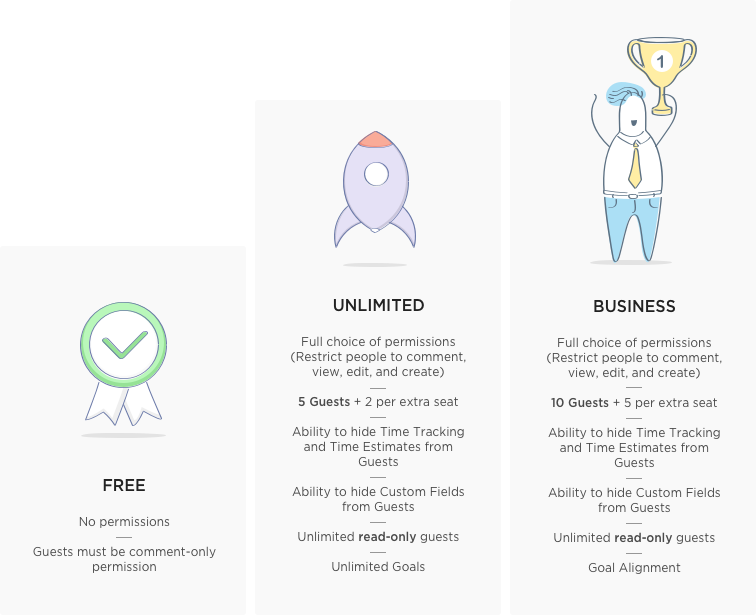 10 free guests by default (you can choose their permission level). Each additional member added will grant 5 free guest seats. Storage is attachments in tasks. Storage does not include the text in tasks or data related to the actual information. It only includes attachments. What are the Privacy, Sharing, and Permission differences? Will pricing always be this way? Nope, so take advantage of this while you can! You'll always be grandfathered in to whichever plan you choose. We will never take away benefits after you're locked into a plan. We are adding many new features and this will change once we roll out more! You can check out our features roadmap here.